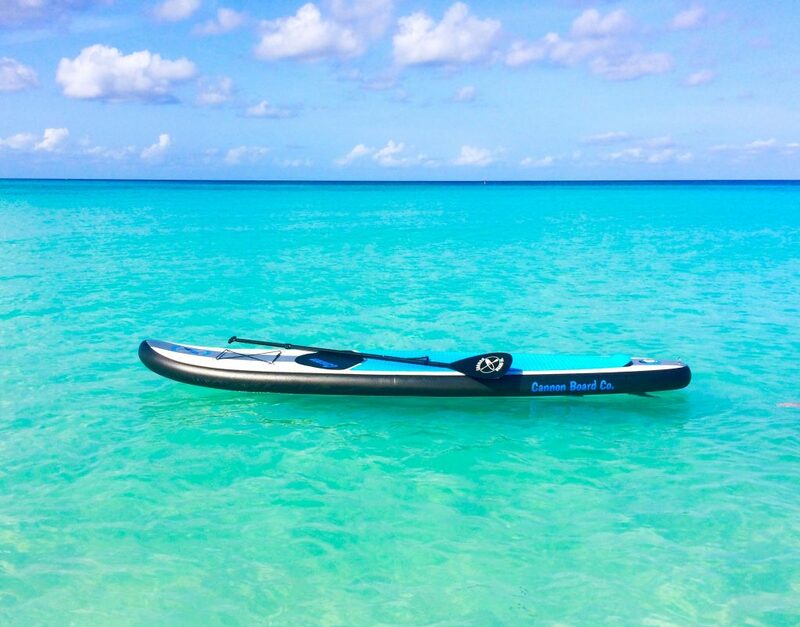 Our stand up paddle board rentals are custom 11′ inflatable boards. We designed the boards ourselves with all of the latest technology including lightweight, drop-stitch core, carbon rails, and military grade PVC. Inflatable boards are lighter, more durable, and easier to transport than hard boards. New for 2018, we do have SUP ATX hard boards available as well which are the same brand we offer for sale in our waterfront shop. Looking for more information about our custom boards? Check out more details on the Cannon Board Co. paddle board.